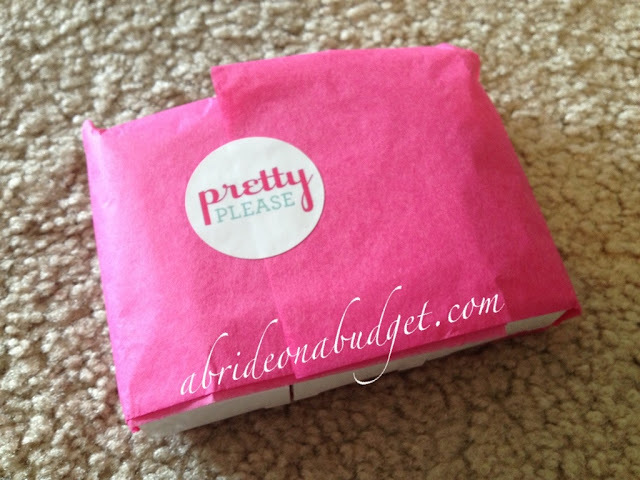 A Bride On A Budget received these polishes for this review. There comes a time in every women's life where she thinks, "Nail polish naming; I can do that." Sally Hansen has a metallic called Wedding Glitters. And so you think, "I could have come up with that." But no matter how genius your idea, besides doctoring up a fake label in PicMonkey and pasting on your favorite polish bottle, you can't actually name a polish. 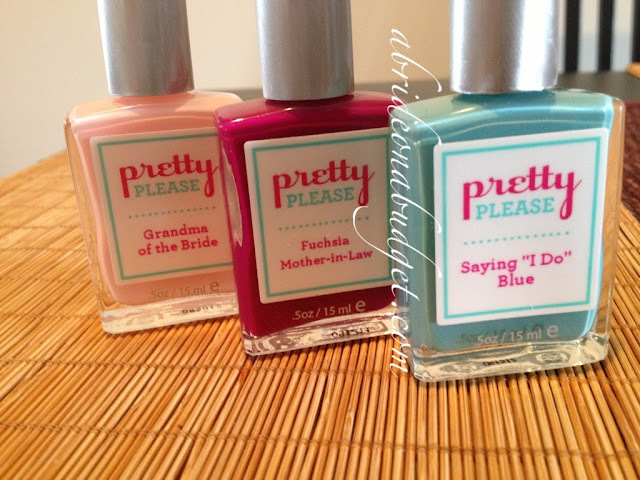 I was reading a magazine the other day and stumbled over Pretty Please, a nail polish company started in 2011. The concept is fantastic, and pretty much the dream of almost every woman I know. You head over to the site and select one of the 18 colors. Then, you create your name (generally within 24 characters including one for a line break, but the brand will work with you if you absolutely need just a few more letters), add your polish to your cart, and stalk your mailbox for eight or so days. It sounds simple, but it's not. When I got the chance to check out these polishes, I thought it would be a cinch. Picking the color, that seemed easy for me. My mom likes pinks so I figured I'd personalize one for the mother of the bride. Oh, it's not that easy to get your creative juices flowing. 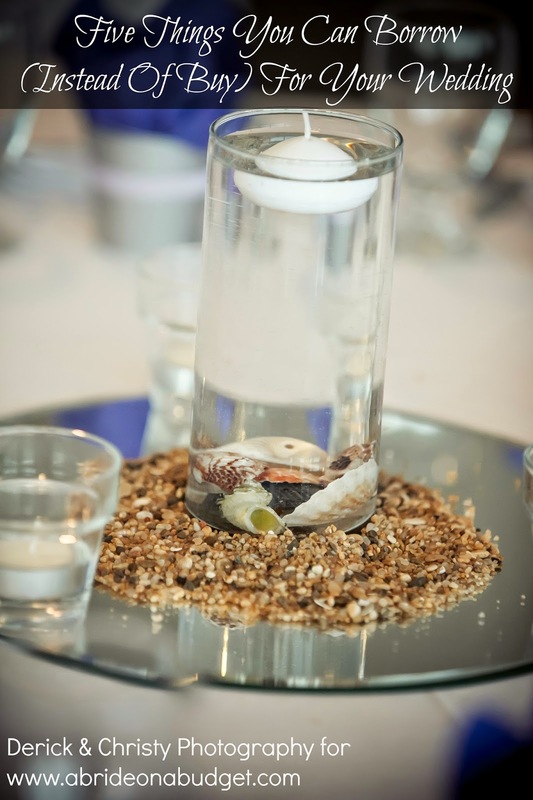 Mother of (the bride) pearl. Except there's no whites. Mom's heart of gold was suggested on A Bride On A Budgets' Facebook page, but it didn't scream wedding like I hoped. I had a bunch of friends racking their brains with me (and by that, I mean consulting Google). So I jumped on the Google bandwagon and found a play on words, and then made it apply to my mom: Fuchsia Mother-in-Law. Of course, I had to then go with a fuchsia, which is a little bold for my mom -- but I will (try to) convince her to wear it on her toes for the wedding. These polishes are such a way to honor the special women in your life, the ones who have been through your side during the entire wedding process -- or maybe just the ones who you anticipate will be there. Like your bridesmaids. 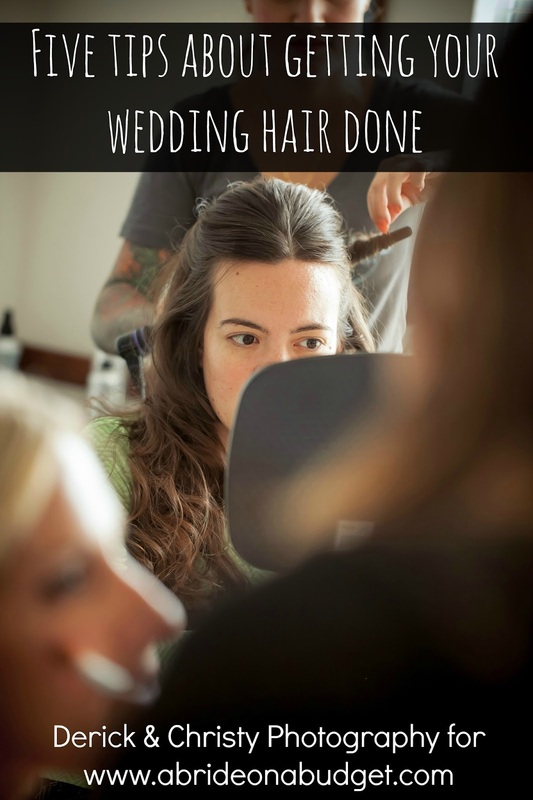 Consider asking them to be your bridesmaid with a bottle of polish. "Be my bridesmaid?" and "Be my maid of honor?" both fit in the 24 character limit. You don't have to be witty in your polish names. 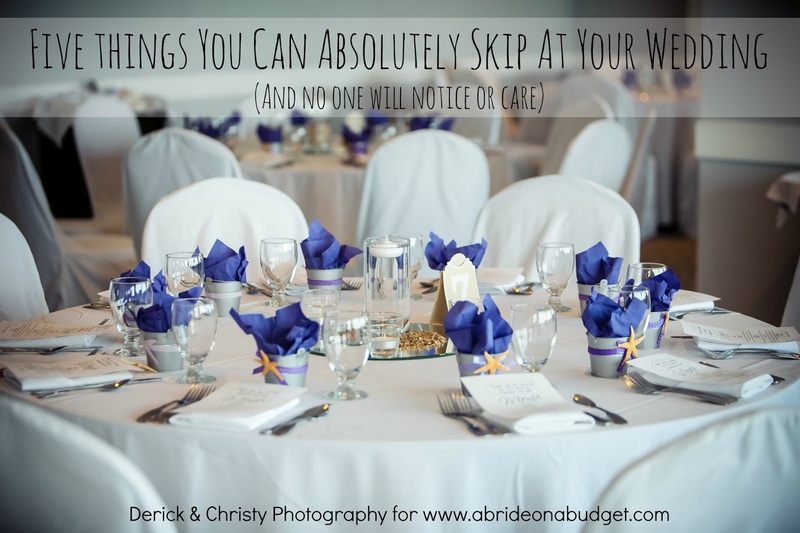 You can be completely direct and simple and call one, "Grandma of the Bride" like I did in a pale pink. Maybe make one for the sister of the groom, groom's mom, flower girl ... the possibilities are only limited by your imagination. And, if you do get stuck, just think of the occasion. You're getting married, you're saying I do ... "Saying 'I Do' Blue." Easy. Sometimes they just come to you. Speaking of them coming, the packing makes the product feel as special as you can imagine. My three polish bottles were wrapped together in a beautiful pink piece of tissue paper, then each comes in its own box. The front of the box has a cut out where only the name shows through (so if that is the first thing you see, you actually have no idea what is inside the package). On the reverse is a punched hole so the polish color can peek through. The back of the box also says: "The nail polish inside this box was created especially for you, from the handpicked color to the personalized name." It's true. You select and design the polish with someone very specific in mind. While I still give kudos to whoever at Sally Hansen thought of Wedding Glitters, it's incredibly generic in the sense that I can Google it and buy it anywhere. But Fuchsia Mother-in-Law? My mom cannot get that anywhere else but inside the package I give her in her wedding welcome bag. Wedding planning is chaos. From finding a venue to a photographer to remembering to take the flowers from the church to your wedding venue, every moment is a chance for someone to think of the bride and help her. How special would it be to give these polishes to the people who have helped you during the process, reminding them that you stopped and thought of them, just as they have stopped and thought of you and come to your aid during your wedding process. 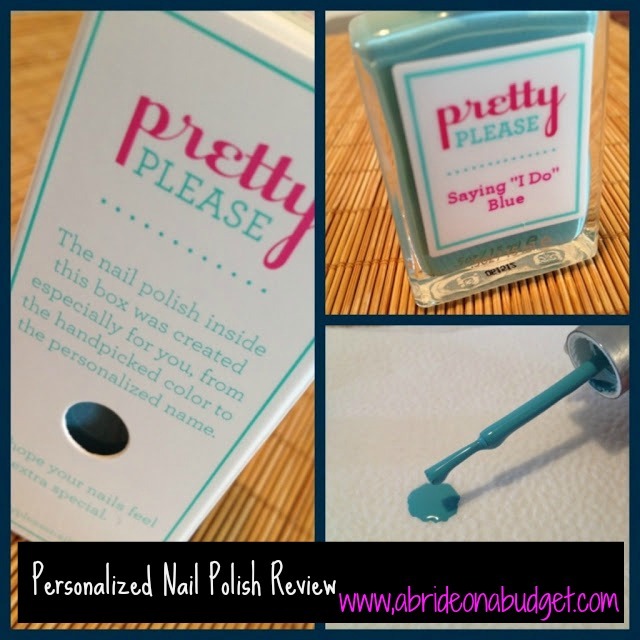 BRIDAL BABBLE: Pretend you are designing a polish. What would you name it and who would it be for? I would name it Candy Apple Red and have it for my soon to be mother in law! She loves red! That is an awesome idea! I'm sure my bridesmaids would have loved these. Perfect Mothers Day idea! Making one for myself and my momma. Thank you. Green Queen My duaghters name is Reyna (in english its queen) and her favorite color is green lol..